What transport will you choose to travel the world? The quickest way to travel from A to B is to fly. Depending on the route chosen, your flight can take a few ice-filled drinks, wrestles with packets of peanuts. a dinner, a light refreshment, a breakfast, hopefully a snooze, a couple of trips to the loo and maybe a movie or two. There are a variety of ticket options available: one-way, return; open jaw; round-the-world. Some tickets are cheaper at certain times of the year. Investigate prices during peak, off-peak and shoulder seasons. My advice is to shop around until you find a ticket that suits you and your budget. To compare and book the best airfare that suits you and your budget I recommend visiting Skyscanner and Bookings.com. The Indian Pacific (across the bottom of Australia from the East Coast to the West Coast). Northern Explorer (from Auckland, NZ to Wellington, NZ and vice-versa. To discover and book your coach/bus travel check out the Eurail and JapanRail. Flexibility is the name of the game when you travel in your own vehicle. You can go where you want, (including out of the way places that coach and train travellers often miss) when you want. There are various ways to get your hands on the wheel of a car: you could hire one, relocate one, share a lift or buy a vehicle yourself. Don’t forget to take your International Drivers’ Licence. One of the best ways to immerse yourself in another culture is to walk and explore. You may wish to incorporate local transport such as the Tube (London), Metro (Paris), trams, taxi cab, felucca, camel, elephant or rickshaw in to your day. Public transport is the cheapest and (usually) the most efficient form of transport to get you around and allows you to get a more genuine experience of the city. Don’t forget to take the name and address of your accommodation with you when you go out just in case you get lost. Sailing the world’s waterways is a huge variety of sea craft ranging from feluccas on the Nile to private yachts to luxury cruise liners sailing the world’s oceans. There are also local ferry services such as The Star ferry in Hong Kong or an extensive ferry service linking the Greek Islands. 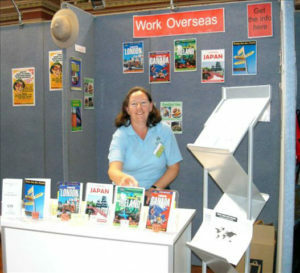 About the Author: Sharyn McCullum has travelled the world extensively and used a variety of transport. 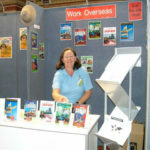 She has flown many times, been on a number of coach tours such as Top Deck, Cosmos and Contiki, she has purchased bus and rail passes and spent 38 days at sea sailing from Southampton, UK to Sydney Australia.